Back by popular demand! 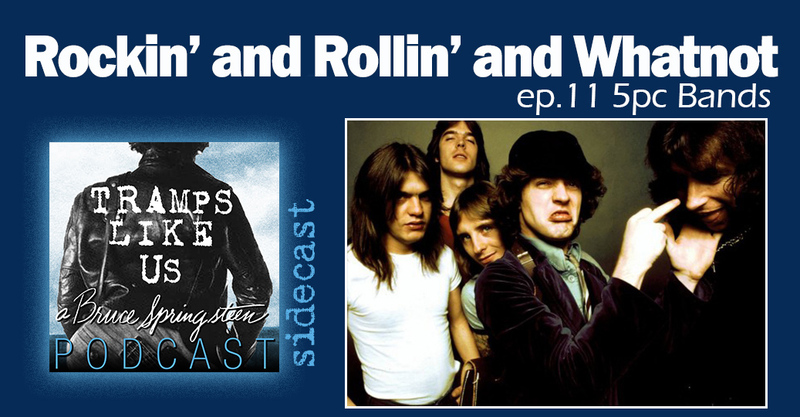 Mike Bramston and Alex Ferguson join me once again on Tramps Like Us to follow up the show we did a few months ago discussing 4pc bands (vocals, guitar, drums, bass). This time we’re each throwin’ down our top 10 5pc bands. It’s another fun and loose conversation with lotsa good tunes. Come hang out with us. Tramps Like Us podcast is now on Spotify. Have a listen if that’s where you consume your audio entertainment. Subscribe and leave a review on iTunes!